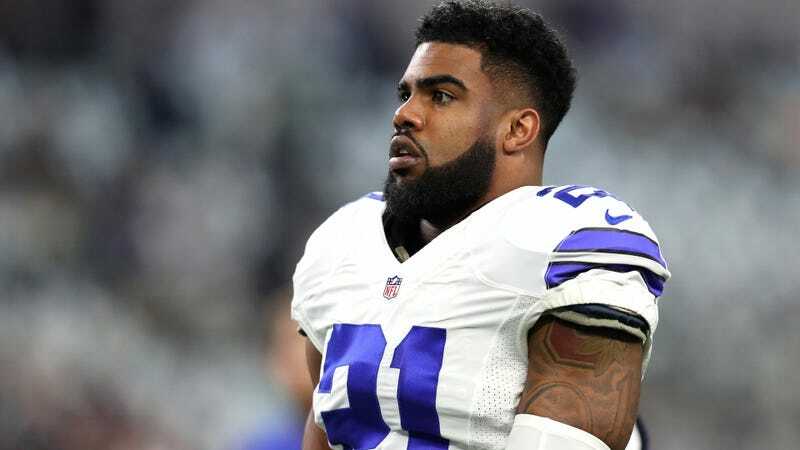 NFL appeals officer Harold Henderson has decided to uphold Ezekiel Elliott’s six-game suspension for violating the NFL’s personal conduct policy, according to multiple reports. The league announced the suspension in August, following a 13-month investigation into his ex-girlfriend Tiffany Thompson’s allegations of domestic abuse, and the Dallas Cowboys running back made his case against the suspension in an appeal hearing last week. The decision to uphold or overturn the suspension then lay with Henderson alone. A transcript of the appeal hearing was made public as an exhibit in the players association’s lawsuit. That included testimony from Kia Roberts, the lead investigator, saying that she had recommended Elliott not be suspended after interviewing Thompson several times. But Roberts’s recommendation was missing from the league’s final report, and her advice was ultimately not heeded. This became a key point in Elliott’s appeal, though apparently not one meaningful enough in Henderson’s eyes for the suspension to be reduced or overturned.